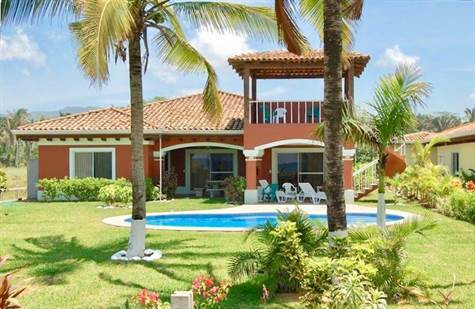 This fully titled Beach Front home is located in Playa Hermosa on the best surfing beach in Costa Rica. The floor plan is large and open with 4 bedrooms and 3.5 baths. Ideal for entertaining with large covered terraces and swimming pool with views of the ocean and pristine beach. The kitchen is spacious with granite counters, large breakfast bar, side-by-side refrigerator, dishwasher, etc.